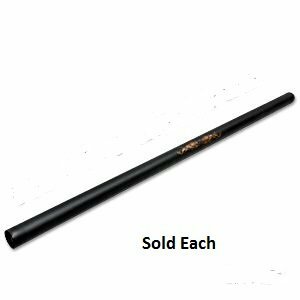 These 26 inch Escrima/Kali sticks are constructed with a PVC inner core covered in 1/4 inch thick foam, weighing approximately 7 ounces. Foam Escrima sticks are for safe weapon sparring. 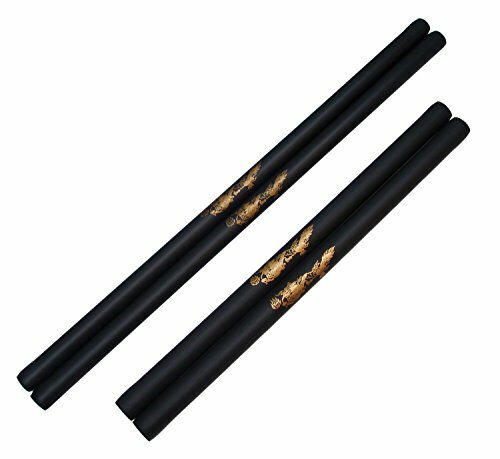 These Escrima sticks allow beginners to learn effective sparring techniques without risk of injury. Escrima also known as Kali or Arnis is the national sport and martial art of the Philippines. Round foam staff - 26 inches in length. Most used by Philippino Arts practitioners. Need an escrima for training? Check out this one. A hollow plastic core is covered with 1/4 inch foam. 26 inches long with a 1-1/4 inch diameter. Foam covering is accented by a printed dragon centered on the stick. Each pair includes a free carry bag. 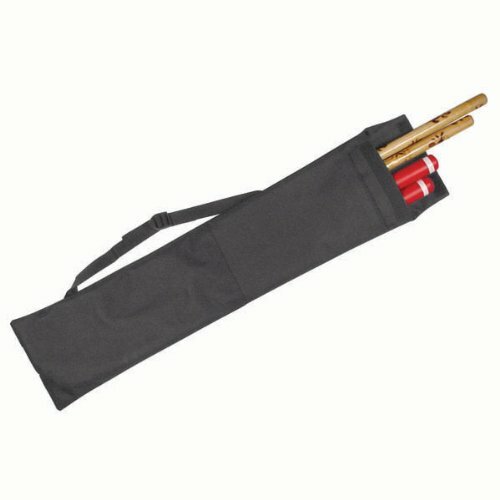 Smartly designed 2-pocket Escrima bag holds up to eight 28 inch long sticks or swords. Constructed of lightweight, water-resistant black polyester cloth. Features a large stick pocket with velcro closure, dagger pocket and 'quick retrieve' single stick pouch. With adjustable shoulder strap. 30 inch by 6 inch. An economical bag for transporting your equipment. Black. Smartly designed 2-pocket Escrima bag holds up to eight 28 inch long sticks or swords. Constructed of lightweight, water-resistant black polyester cloth. 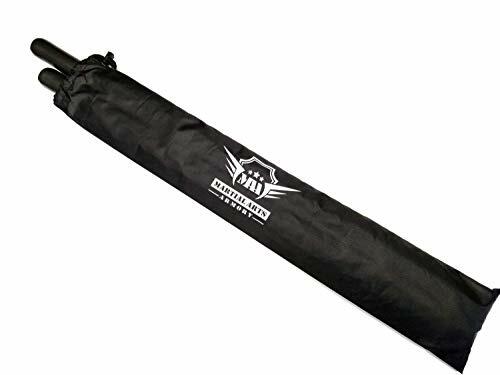 Economy Stick Carry Case Deluxe Stick Carry Case - Carries multiple pairs of sticks. Durable 22 oz vinyl. Need an escrima for training? Check out this one. A hollow plastic core is covered with 1/4 inch black foam. 26 inches long with a 1-1/4 inch diameter. Foam covering is accented by a printed gold dragon centered on the stick. 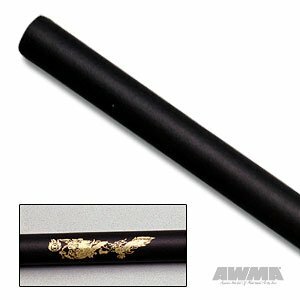 Black foam practice escrima with gold dragon design. Durable 1 1/4 foam with PVC inner core. Great for training and beginners. 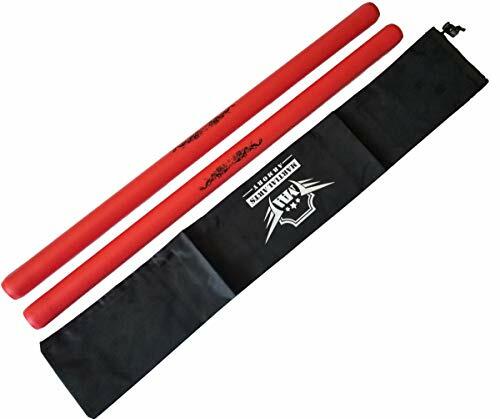 These foam padded Escrima sticks are generally used in combat practice situations. The foam padding protects both the user and his or her sparring partner from harmful impacts during intensive training. 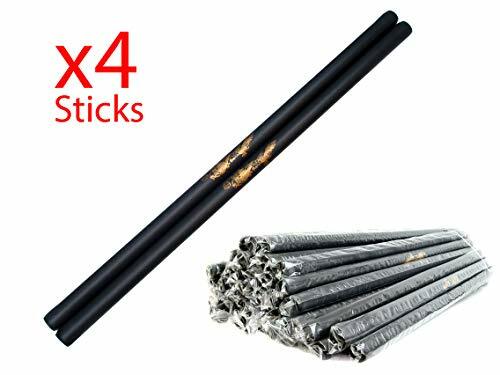 PVC wrapped in high density foam, these foam escrima sticks provide excellent grip. Perfect for Kids and anyone who wants to safely practice defending themselves. Black foam practice escrima with gold dragon design. Durable 1/4" foam with PVC inner core. Thin 3/4" diameter for easy gripping. Thin 3/4" diameter for easy gripping.Sold Individually. 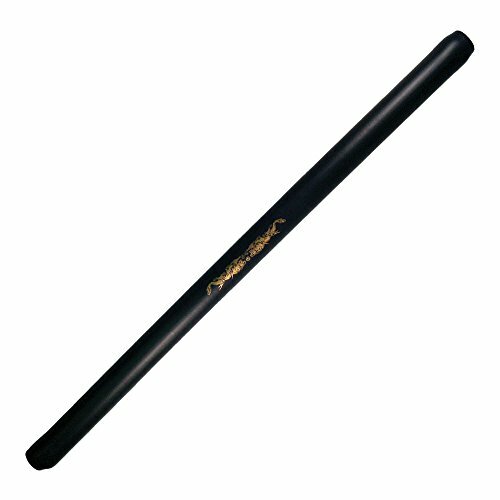 Thin 3/4 diameter for easy gripping. Excellent escrima for training. A plastic core is surrounded by foam for an ideal practice tool to master your escrima skills with reduced risk for injury. Comes complete with carry case. 25" Long Foam Padded Combat Weapon. 6 Blue Padded Foam Comfortable Grip. Will not break like other brands. For sparring and Tournament use. 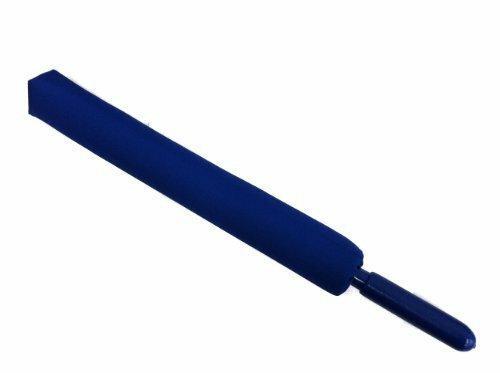 2.5 diameter foam pad covered by heavy duty blue nylon. Brand: PROWIN1 | Manufacturer: Prowin Corp.